A group of 12 students from Salford City Academy are using sport to develop leadership skills, and handball has proved a fantastic vehicle for them to put into practice what they’ve learned. The cohort attended a handball leader award training day in December, facilitated by Andy Clark from England Handball. They were challenged to consider how they might change and adapt drills to suit groups with differing abilities or aptitude for sport. The Salford students then led a successful handball festival in February for 43 year-7 and year-8 students at Irlam and Cadishead College. The leaders delivered a warm-up, skills and drills, and refereed games. The next step up was running the handball competition at the Greater Manchester Winter Games, organised by Greater Sport. The Salford Academy leaders organised the Under-13 boys and girls competition and also helped with the refereeing at the Under-15 boys’ event. 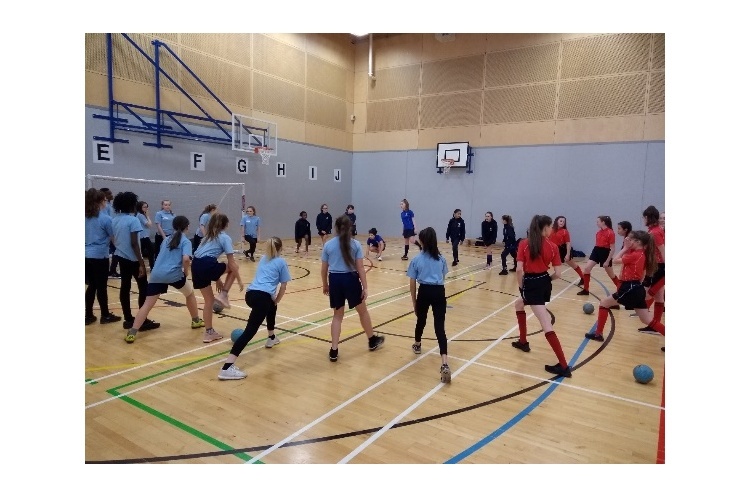 Co-operation was the name of the game for their next event, a Year-5 primary handball festival which the Salford students planned and organised in conjunction with young leaders from Oakwood Academy. The Salford students instructed their Oakwood counterparts in the details and technicalities of handball. Oakwood has an existing leadership programme so the students worked closely together to ensure the success of the event. The day of the festival saw the leaders organising the warm up and equipment, leading the drills practice, time keeping and organising teams. The primary school students left the event smiling, and the leaders have grown in confidence and ability since that first training event in December.